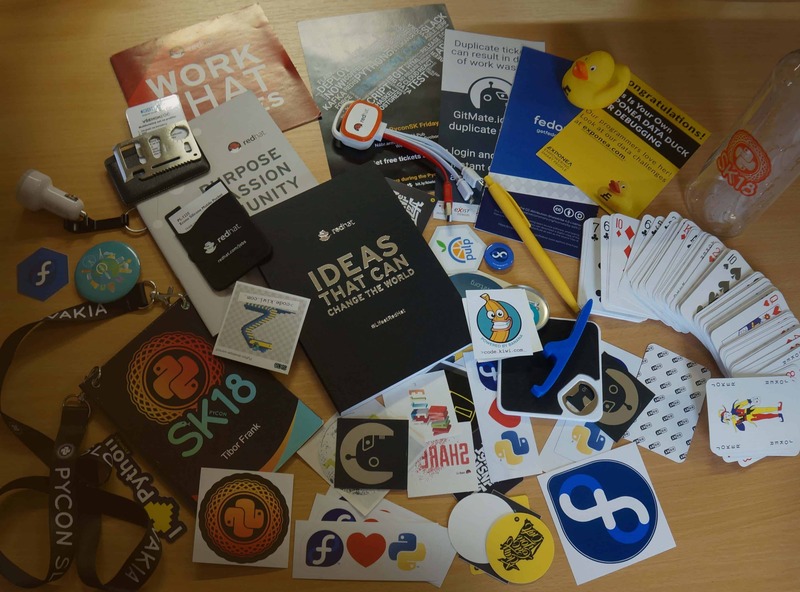 Thanks to PANTHEON.tech, I had an opportunity to attend PyCon SK conference that took place on March 9 – 11, 2018 in Faculty of Informatics and Information Technologies of Slovak University of Technology, Bratislava. 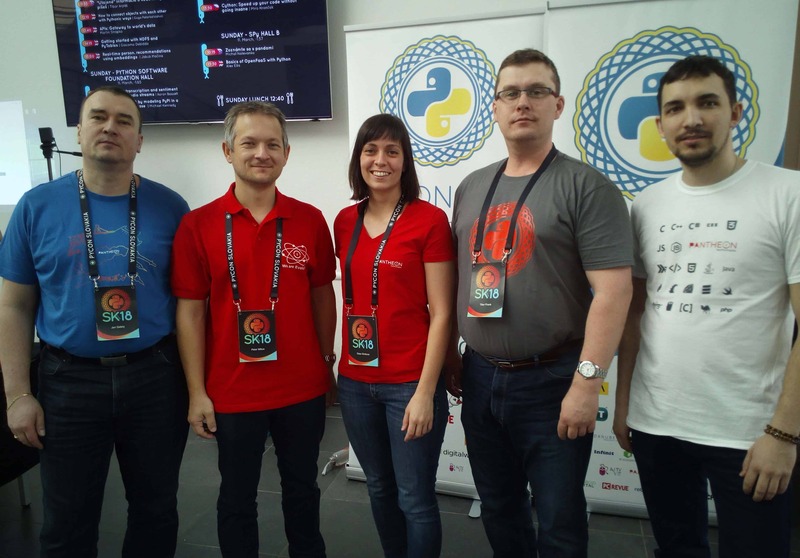 Its intent was to promote Python, spread open source technologies and open source ideas. Speakers were professionals from various areas of software development – from documentation writers through big data analysts to coders as such. Thus, the lectures covered a wide area of topics and possibly anyone could have found their cup of tea. The day started with Alex Ellis’s talk about OpenFaaS (Functions as a Service). He introduced the OpenFaaS project, made an account on how to build one’s own serverless functions in containers using Docker, or Kubernetes, or other orchestrators through the extensible architecture. In the talk, practical demonstrations of the use of serverless functions were made, such as voice-driven getting of information on weather and other stuff, turning black-and-white pictures to colourful in one click, etc. For me, personally, Saturday provided few highlights. Anton Caceres talked about big data analysis, and libraries and tools that Python provides in this area of programming. What he emphasized as core skills of data scientists were ability to read data, to visualize it, to formulate right questions, and to endorse one’s imagination while answering those questions by visual presentation of the data. Another interesting one was by Michael Kennedy. The topic was “Pythonic code, by example”. He explained the concepts of writing idiomatic code in Python (i.e. Pythonic code) that is most aligned with the language features and ideals. This talk took us on a tour of some of the more important pythonic concepts using many examples of perfectly functional Python code that was non-pythonic with pythonic equivalents. Most of the code examples were written in Python 3.5. Ryan Kirkbride gave the last talk of the day; or better said a performance. He suggested that while coding is mostly quite a lonely activity in which a coder interacts with the program, there is also a way to make coding an interactive activity shared with a community. He himself provided an example by live coding a program that generated music. The idea of sharing an experience of coding with others underlined the idea behind the conference – collaboration, sharing and community. On Sunday, we had a look at end-to-end testing of UI of the application. Vladimir Kopso spoke about writing an end-to-end testing automation Framework and some tips for making the code cleaner. He also spoke about parallel running of multiple test suites in Docker containers and time saving this approach brought to running automation test suites. 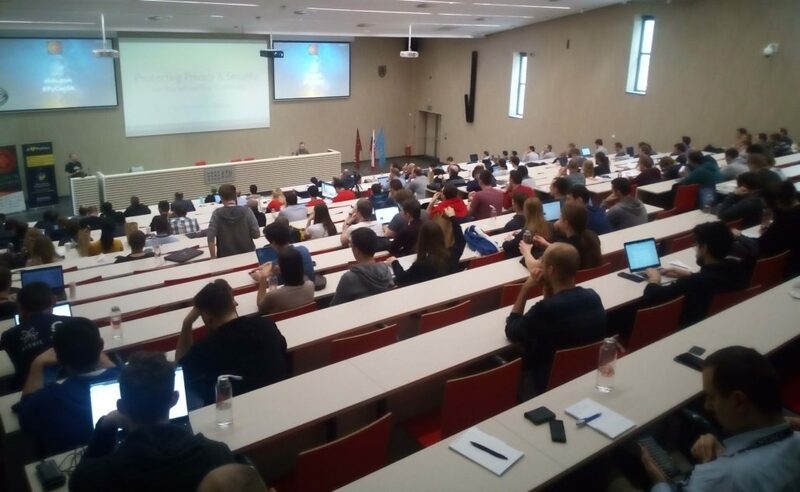 Tibor Arpáš presented his ideas on how to make writing code in various IDEs more efficient and how to give the coder valuable information on their code. He suggested that when running a code, valuable information is created about the code itself. He came up with few ideas on how to display this information together with the code at one place. To sum it up, in three days which were full of Python and open source topics, we learned a lot from the speakers. Some of them were better, some of them a bit boring, but there were few that were highly motivating and engaging. Community was the leitmotif that appeared across almost all of them and was apparent also in the overall atmosphere of openness in the hallways, where you could address speakers and discuss with them. Big thanks to PANTHEON.tech and to the organizers of PyCon SK 2018 for this amazing experience.